Earlier this month, I was honoured to attend the Stryker Canada grand opening, in the Clappison Business Park just off Parkside Drive. Stryker is the first of many new businesses coming to Flamborough — CHCH will be building a new studio on Innovation Drive, in addition to DriveStar building a new location on Coreslab Drive. The 2019 operating budget has been approved by council, with a few important impacts for Flamborough and Waterdown. This year’s tax increase of 2.5 per cent across the city is one of the lowest among comparative municipalities. The 2019 average costs of a Waterdown or Flamborough home is $499,900. The urban tax impact to Waterdown residents is two per cent, equating to approximately $94. For rural Flamborough residents outside of Waterdown, it is 1.8 per cent, or approximately $74. The tax increase is below the increase to the cost of living, which is 2.8 per cent and in line with the rate of inflation, which is around two per cent — which is why I supported it. Your taxes go toward a number of important items in Ward 15 and across the city, such as garbage collection. As well, tax dollars support neighbourhood parks like Memorial Park, Joe Sams, Courtcliffe, Millgrove Community Park and approximately 13 other neighbourhood parks in Waterdown. Taxes also support Halton and Hamilton Conservation authorities, the Royal Botanical Gardens, public libraries, arenas, halls and other city-owned buildings — of which there are many in our community. There are also numerous cemeteries in Flamborough which taxes support, in addition to roads, ditches, culvert replacements, street lighting. Your taxes go to a long list of items, many of which benefit our community. Offsetting the cost of services, the city also receives revenue annually from user fees for recreation and transit user fees, federal and provincial government grants and subsidies, licence and permit fees and property tax revenue. This includes revenue from the Ontario Lottery and Gaming Corporation (OLG), which provided $5.3 million in revenue in 2018. You can learn more at judipartridge.ca, which includes website links and resources for further breakdown of the 2019 operating budget and its impacts for Flamborough. If you need any assistance, call my office at 905-546-2713 or email through my website judipartridge.ca. If you see me in the community, please stop and say hello. 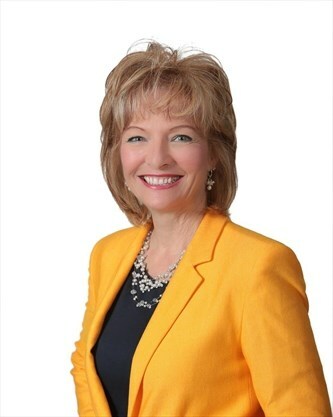 — Judi Partridge is the Hamilton city councillor for Ward 15, which includes Flamborough, Waterdown, Carlisle and Freelton. She can be reached at judi.partridge@hamilton.ca or 905-546-2713.